Welcome to the May 2014 newsletter! This May, we had some troubles with our DNS but now it appears to be solved. Thanks very much to Tristan of Loupiote and thank you for your patience and fidelity. For the content of this month, you will find a new article by our collaborator Olivier Namias, a specific page for all the items related to urban exploration we just created and is still in progress, some books we appreciated and a special mention to Cowboy Henk, an amazing Belgian aburd heroe. Our back list choice is a great book of photography by Christopher Payne dedicated to New York's subway substations. It is rather hard to find at a good price. Do not let the chance away if you find it! Covers and the highlights from the first five years of this legendary magazine. Visual story of an extraordinary time in the Mitte district. Hillarious and surrealistic history of Belgium by Cowboy Henk. Article by Olivier Namias on French photographer Hortense Soichet. PDF of the article by Gilles Thomas dedicated to the teaching of the underground topography in Paris. 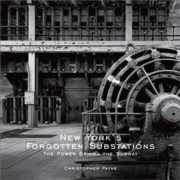 Photographs and history of the New York's substations. 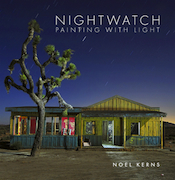 Specialist of light-painting, photographer Noel Kerns brings us a glimpse into a nocturnal world of abandoned wastelands. Contemporary Collage in Modern Art. 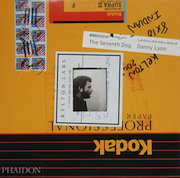 New monograph/photobook by American photographer Danny Lyon.